This band will open your appetite for more and more ... music! 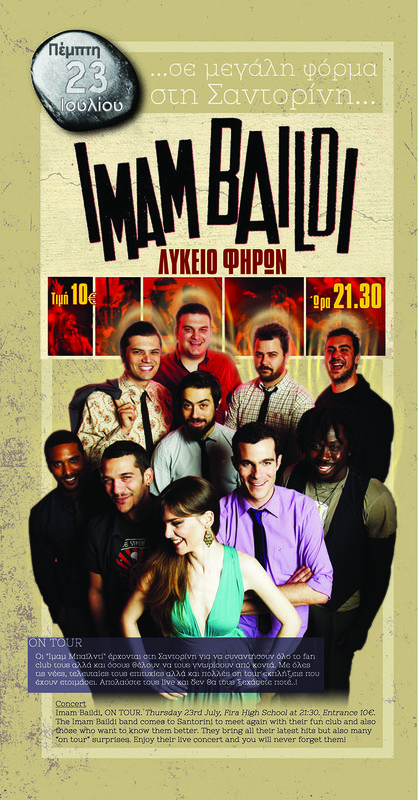 You will just never have enough of Imam baildi, the band that combines the traditional sound of the Greek songs of 40s, 50s and 60s with Balkan and modern sounds that will make your legs dance to the rhythm uncontrollably! The popular band is here in Santorini tonight with all the latest hits and numerous surprises to “serve” you! The concert will be prepared by the Cretan Association of Santorini in Fira Lyceum. Starting time 21:30. Bon appetit!